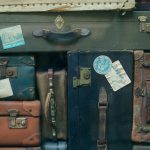 LUGGAGE – THE JOURNEY BEGINS HERE! These days it’s always ‘that time again’ because travelling is a constant for most of us and what should be the most important part of planning – after actually buying your ticket and deciding where you’re going to – is making sure you have the right insurance. We would say that anyway, after all we are a global specialist insurer offering non-standard policies, as we state on our website – uniquely covering specific luggage contents. This is the whole point about luggage insurance, you really do get what you pay for and if you don’t read the small print then you might have a big shock when it comes to your claim. Talk to us and we’ll say we offer insurance for electronic devices like laptops, mobile phones and tablets, as well as specific items, rarely covered to the full amount under existing policies. All sounds good but to you and the wife, your partner, the kids, your old mum or dad travelling with you, what really matters is that your laptops, phones, tablets, your unusually sized items such as bicycles, wheelchairs, walkers, golf clubs, tennis rackets and those other sporting goods besides your musical instruments ,that makes the week fly by, they need to be covered. That’s what we do. These blog postings won’t be the hard sell but an opportunity for us to highlight and bring to you news and items of interest that should make the travelling a lot more relaxed. Not like a comfy pillow or blanket; nothing like that, just words of hopeful wisdom that will keep you covered …. just like our policies. Now that bit was a hard sell! Just think of it this way; average travel policies impose single item limits on baggage contents that typically don’t exceed €350 and the limits of most travel insurance policies apply to anything in the luggage. So that means your clothes, shoes, accessories and even the case itself. Get this bit of the insurance wrong and that’s where the shock comes when making a claim. If you have any unusual luggage stories, claims news, stories that would cover what we’ve been writing about, then please talk to us.